A seasonal lesson on plant medicines to help us attune to, align with and navigate the natural energies of the Earth, the Plants and our own Spirits of the season of darkness, beginning with Samhain, All Hallows Eve, or Day of the Dead, on Oct 31. 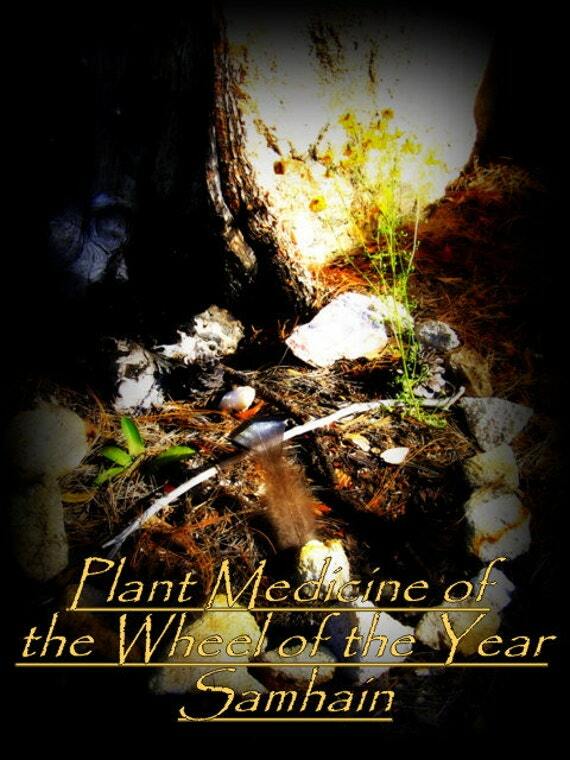 Includes information about the following plants: Marigold (tagetes), Elder(Sambucus) Medicinal Mushrooms (ganoderma et al), and Black Cohosh (Cimicifuga racemosa). PDF lesson with plant information, seasonal energies, practices, journal questions and more delivered to your e mail by Oct 30. Plus- A box with two herbal products to help you physically sense the energies and use the plant medicines to your benefit during this time delivered to your mailbox! Previously only offered as a yearly program/subscription. Now you can get just the seasonal packages and lessons you want! Orders must be placed by Oct 28 to ensure timely arrival of packages! Available at Etsy and Poppyswap!